Someone once alerted me to the hip and cool tumblr titled North Korean Interiors. It blew my mind, I really want to visit North Korea some day just to experience it in all it's weird controlled glory. 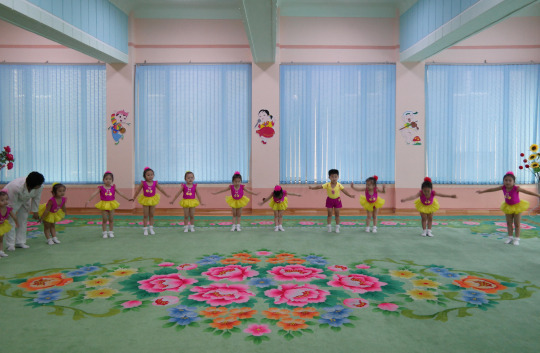 Here are a selection of some of my favourite photographs from the site, and yes, they are real interiors of North Korea. It looks like you're stepping into the mind of Wes Anderson, if he were an interior designer. Enjoy.